Here’s a topic that comes up a lot when I’m talking to new clients! How does the segmentation used in Direct Mail apply to Player Development? I don’t think it does. New – guests are New for the first month. Active – played in the last six months. Inactive – no trip for twelve months. We are often asked to configure our PowerHost software to match this same criteria but my argument is that these time periods are far too long for Player Development. Your coded players should be your best players and they should be playing frequently. Waiting six months without a trip for them to be considered ‘Pending’ is far too long in PD. A Host should be worried if they have not shown up for a month! I like to explain it this way… Direct Mail is like a deep-sea trawler throwing a net over the side and catching several hundred thousand fish, big and small. Whereas Player Development is like fly-fishing. The expert fly fisher stands in a shallow river and closely watches the behavior of the big fish and notices what each fish likes and dislikes and realizes that a certain fish has not appeared when it should. PD should know when someone is NOT there and take action. So, I recommend that Casinos keep the overall framework from Direct Mail, because we don’t need to create confusion, but add some extra classifications for PD. The column labeled Direct Mail shows that their segments are Active (1-6 months), Pending (7-12 months) and Inactive at 12+ months. The column labeled Player Development breaks this down into shorter time frames. After a month without a trip, an Active player is considered Active-Due Back. After 3 months without a trip, an Active player is considered Active – Fading. The first three months without play are critical for PD because there is still an opportunity to place phone calls and find out what is happening. Is the guest unhappy with a service issue or gone to the competition? The Host can take immediate action! If the guest turns ‘Pending’, with no trip for 6 months, then the relationship between the Host and the player will have disappeared. Unless! The Host knows the guest is a snow-bird or is dealing with an illness in the family. A strategic Host will have found this out within 30 days and will be staying in touch. 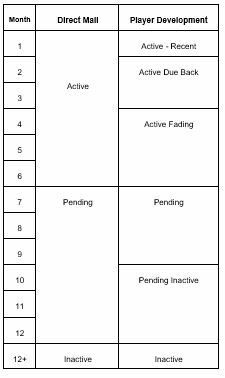 In the picture, you see the Pending segment broken down into Pending and Pending Inactive. After 9 months without play, the guest is in the deep red zone and likely to fall out of the coded list. I don’t understand why any coded list has Inactive players? If the PD program has been taking a strategic approach for a year or more then there won’t be. I would love to see a manager have the courage to set this goal “Host will not allow any guest to go Pending without a recorded reason e.g. sickness or snowbird.” And have an associated financial penalty for every time that it happens. With this goal in place, we would definitely all track our players that start to disappear (Active Fading) and try to get them back in! And if we find a solid reason such as ‘This person lost their job’ or ‘This person has moved across country’ then we can lobby the PD Manager to decode the guest and clean up the coding list. I doubt that I will someone be that aggressive… but it does make smile when I see a goal to reactivate Inactive players. (Because they should not be allowed to go Inactive! It’s like rewarding someone for catching the runaway horse instead of rewarding them for keeping the barn door closed.) I’d rather see some retention goals such as ‘Contact 95% of coded players each quarter’ and ‘Drive 1+ trip from 80% of coded players during the quarter’. Don’t leave the barn door open! When is New, really New? … It makes sense to me that a valuable new player should receive a phone call within 24 hours if they had a large ‘enough’ Theo on the day that they enrolled. These top players expect personal recognition and to feel special; it isn’t good enough to wait for the Direct Mail program to catch up with them. But does it have to be a Host? Why can’t someone in the Players Club reach out, with a script, and thank the new player for enrolling, and ask them how they liked the Property? My point in these discussions all week has been that there is a big difference between making sure that a new valuable players receives a warm welcome, and assigning the player to Host with the expectation that the Host can groom the new player and ensure their loyalty. We don’t really know from just one day of play whether the guest has got high potential and will become loyal. It takes two or three trips to see what is happening. In fact! If we just focus on the Theo on the day of enrollment then we can miss someone! Let’s say I show up at your Resort Casino late on Friday. I enroll, play a little, grab something to eat, and go to bed. My Theo on my enrollment day will be too low to warrant a phone call. I get up on Saturday morning and play like crazy on Saturday and Sunday before I leave for my 3 hour drive home. If your casino is only focused on the enrollment day, then I will slip through the net. Do I deserve a phone call on the Sunday morning, you bet I do! Before I even leave the Property, before I even stop playing, it would be great to get a call. ‘Jackie, I want to welcome you to the Sandy Palace Resort Casino. I hope you are enjoying yourself? Do I deserve a Host? Can I be groomed? Well, that is a different question. If I live halfway between you and your competition, it is probably worth assigning a Host to see if I can be tempted away from the competition. If I am just a random individual with a 2 hour drive time then no, it’s probably not worth it. I can be kept interested by the Direct Mail program if it is finely tuned to retain new players. Is there a right answer? Of course not, these are all just strategies that we experiment with and see how they work. But! We do have to have PD strategies and not just rely on the Direct Mail program to scoop these people up. Does your Resort Casino have a strategic approach to New players? Take a look at Casino Host Goals; a strategic approach to Player Development. Are you Getting Fried by your Phone? 8 Ways to define a strong Work Ethic? This morning, I was listening to Gary Vee talk about having a strong work ethic, and that all successful people have, to quote Gary, ‘worked their face off‘. I was thinking about that. I don’t want to work my face off, if that means working 18 hours a day, every day. I want to have time away from work, I want to enjoy all aspects of my life, and I want to be healthy physically, emotionally, and socially. But I’m not lazy. I do have a strong work ethic. So what do I mean when I say that I have a strong work ethic? What is my definition? Each day, I complete whatever has to be truly done that day. This means that I have to be very clear about ‘importance’. (If I tried to finish everything on my ToDo list then I would never stop working; just like the washing up, those new Todos pile up as quickly as I put the old ones away.) So I am brutal about deciding what has to be done that day and I will work late into the night if necessary. Each day includes the weekends and holidays. We work with Player Development teams across the three time-zones. And Casino Hosts work on weekends and holidays; they don’t all take off on July 4th, or Dec 25th, or Dec 31st. So my work ethic does include being available to our support team, and to our clients, when they truly need me, 24 x 7. Notice the word truly! I am fearless. Part of a strong work ethic, is to be able to ‘do what needs to be done’ regardless of one’s fear. Back in my 20’s and 30’s, I used to live with a lot of fear, and I made a mess of so many situations. But now I live by the rule ‘Challenge your limits, don’t limit your challenges‘. If I fail at something then it doesn’t matter because certain people still love me. And, of course, if I make a mistake then I will say so, and own it, because integrity is key in business. I am disciplined. Four months ago, I decided to start writing articles and books, and sharing much of what I have learned from working with some fabulous Player Development professionals over the years. I decided to write one article a week; and here I am writing this. I don’t always “want to” but I do it, because that is my weekly discipline. And I managed to write my first book, Casino Host Goals: a Strategic Approach to Player Development, by carving out one hour a day for what seemed like forever! I am organized. I maintain three Todo lists. One is for my personal life, one is for Harvest Trends now, and one is for Harvest Trends future. Each morning, I review each list (and yes, these are hand-written on paper, using my Dad’s Parker Pen and real ink. People are often amazed that I don’t use a software tool but, because I knock these things out, they don’t grow into long lists.) I pick 3 items to be completed today; that way, there is plenty of room for the other tasks that pop up during the day and must be knocked back. I think of incoming tasks/emails as if they were ping-pong balls, and I am an Ace table tennis player! I want to knock those little white balls back over the net as they arrive, and not have them all land on the floor around my desk. I am constantly reading, listening and learning. To me, part of having a strong work ethic, is to work on myself as much as my ‘job’. I multi-task this into my life. For example, I listen to motivational speeches while I am getting ready in the morning, or if I am working on a task that does not require much mental attention. And I am always, always, always thinking. I will see an article on a completely different industry and I will be thinking about what it means to Player Development. So, yes, I am a little obsessed in that way! I work a lot of hours. And yes, I do work a lot of hours. Ha ha! But I don’t work my face off so I won’t become a billionaire and that’s just fine. As we move out of a paper world and into a digital world, you are reviewing your entire approach to Casino Marketing. Do you go home, throw away the physical mail, and look at your phone all evening? Of course you do. And that is why we have to review our entire approach. Our industry needs to move away from the mass distribution of glossy pieces. And I am not talking about switching from direct physical mail to direct email. I am suggesting that we turn everything on it’s head. First, let’s get on the same page re: what happens today. When we pour money into billboards, radio ads, and sponsoring local events, we are doing Saturation marketing. We hope to catch the attention of everyone in those zip codes but of course, not everyone is going to care AND we cannot measure the response. If I ruled the world, I would leave a two billboards on the Interstate to catch the passers-by who need a rest-stop, and invest 90% of the rest into targeted ads on Facebook. Your casino is in a fixed spot and does not move around. So you can use targeted ads on Facebook to promote your property, amenities, and events to the right demographics in the right locations. Instead of relying on someone looking at the mailer to see your Double Down Tuesday, run an online ad on Monday and Tuesday. And the missing 10%? You know how you look at picture of some shoes, and then an ad for those shows follows you around as you go to other websites? Imagine investing in that technology so if someone clicks on your Steakhouse, then your restaurant follows them around as they look for alternatives. BTW, direct email is not the answer to direct print because, let’s face it, you don’t read those either, do you? If I ruled the world, I would only send a postcard, on recycled paper, with the dollar amount of their offers in large print. And it would look exactly the same every month but on a different colored card. People will keep this because it looks like money and because they have the excuse to go to the casino and ‘not waste it’. Think about how upset we get when it is revealed that a charity gives 5% of our money to the children in need, and burns through 95% on advertising, marketing, and staff. Take a hard look at your Marketing budget. What % ends up with the guest in their offer, and what % is used for ‘communication’? How could you shift some money over into the actual offer and upset your competition? Your multi-million dollar investments in Advertising and Direct Mail, buys you a very large, slow moving, fishing boat using large nets to try to catch fish; both large and very small. By comparison, your somewhat meager investment of 500K in Player Development, is like fly-fishing with a rod. If they take a Strategic Approach, your PD team will watch, target, and pick off the big fish. Having a PD team is based on the premise that the highest worth gamers deserve personal attention and 1:1 marketing techniques. We don’t give the PD team the tools and the budget to do 1:1 marketing. We expect them to use their cell phone, and waste time at the laser printer with form letters. Ideally, the PD team would have a CRM, (so they can segment their players) that is hooked up to your vendor for print and email. Or hooked up to a vendor so the coded player automatically receives a personalized birthday gift from their Host, or a box of cookies at Thanksgiving. All handled automatically… with a text to the Host that let’s them know the gift has been delivered, so they can call and bask in the glory. I suggest you consider asking someone on the Direct Marketing team to take a look at the coded players and come up with segmentation, with business rules for ‘when to send what kind of gift to which kind of player’, and burn some dollars on those best players. Many of you are building very large Player Development teams, with as many as 20 Hosts, in an effort to go deeper into the Club and build a relationship with more players. I think that’s great! But invest in an approach, and some tools, in addition to adding bodies. And, to truly go ‘deeper into the Club’, you have to go deeper into the phone. Everyone is carrying a phone. It is now a fact and not a question. So how do you use the phone to attract, track, motivate, and retain, your customers? This is why I was so excited to read about the Mobile Experience & Engagement Training (MEET) Day that has been added to the Casino Marketing & Technology Conference. Take a look at these topics around using the phone to improve the casino player, guest and employee experience. Take a hard look at your Marketing budget. Don’t be that greedy charity that burns 95%! Keep two billboards on the Interstate that emphasize your good food and clean restrooms. Move your advertising budget into Facebook, Snapchat, Instagram, Youtube, and techniques that follow the surfer around after they have clicked on you. Dump the expensive physical mailer in favor of a simple (recycled) postcard that has a $ amount in large letters. Treat your coded players as a ‘database inside a database’ and give some direct marketing tools to your PD team. Go deeper into the phone. Everyone’s attention is on their phone, and you want to be literally ‘in their face’. Attend MEET in July. Drink the kool-aid about getting attention by watching Gary Vaynerchuk. Here’s an intro to Gary Vee. . Put up with the profanity and listen to the end. Finally, be brave. Be audacious. And if you enjoyed this, then take a look at How Do We Transform the Gaming Industry, Gary Vee? How do we transform the Gaming Industry, Gary Vee? …I reluctantly went to the Cinema last night (Book Club) for the first time in 5+ years. Why reluctant? I hate having to get there early to be sure of a good seat alongside my friends, and to avoid being stuck between strangers. I don’t want to drink a soda in the evening, I want a glass of wine. And I hate having to scrunch into my seat to let people go by. What a surprise! My friend had purchased our tickets on-line and we had assigned seats. There was a bar in the foyer! And my seat was as comfy as a first-class airline seat, and even reclined. If you are thinking ‘of course’ then you can appreciate how long it has been since I went. The Cinema of my youth had lines around the block and could cram the audience into small seats, narrow rows, and a large auditorium showing one movie. ‘Going to the Movies’ was THE exciting outing, and the Cinema did not have to compete with other forms of entertainment; in fact it closed down a lot of live entertainment. Now we have so much choice of entertainment and even from the comfort of our own home. So why go out at all, and why pick the cinema? Why go out, and why pick the casino? I was impressed how the cinema has been re-envisaged and transformed. Smaller auditoriums, multiple choice of movies, comfortable seats, alcohol, and assigned seats. How are we going to re-envisage the casino experience? I don’t mean add more amenities and provide free wifi. How will we transform the casino experience? How do we capitalize on Gamers that will go online and book a time-slot in an amazing 3D technology experience with their friends, and pay for additional virtual experiences while they play? Isn’t the Casino the natural venue for all kinds of amazing 3D and VR technology that is too big for my front room? Where are the fun robots that roam the floor and you can interact with them? Not to replace the staff – but to add some buzz! How do we tie into the anticipation of the new Marvel film and not wait for a themed slot machine emerges? A millennial will not be excited about a Marvel slot machine. But they might have come to an event with costumed actors who will pose for photos, while you play the free trailers on big screens. Perhaps you install a small but amazing auditorium and groups can rent the space? I went to see the Book Club which is aimed at the 50+ female market that maps really well to the demographic of a slot player. How do we get small groups of women to come to the Casino and re-live the movie in a VIP event? Set up an area with video clips playing from the Movie and serve wine and Tapas? It’s not just about millennials. Why did I go to the Book Club? Because of video clips on Facebook that were targeted at me based on my gender and age. Everyone is on social media, and staring at their phone. Which leads me to Direct Mail; I know that you go home, throw away your physical mail, and then pick up your phone. Part of this transformation of our industry will be to abandon the postage stamp, and throw ourselves fully into Facebook, Snapchat, Instagram, Youtube, and whatever comes next. Is your casino doing that? I don’t mean dabbling in social media, I mean throwing away the postage stamp, and going 100% into social media. And if Player Development is supposed to be a 1:1 relationship with the guest then social media is even more important! But do you have handcuffs on how much you can use Instagram and Snapchat as an Executive Host? And how was the Book Club? It was good but it failed to take full advantage of some amazing actors. And will I go back to the Cinema? Absolutely! You can join the Casino Player Development Association (C-PDA) via Linked In. Connect with me and I will invite you. Click here to download this free White Paper; an Introduction to Casino Host Goals. At just 5 pages, it is an excellent summary for Senior Management on ‘How and Why’ to set Casino Host goals for the Player Development team. Feel free to download this White Paper, and share it with your management team. It is important to provide a daily Pace report for each goal, so the Hosts can monitor their performance and adjust their tactics before it is too late. (1) What is the percentage of the Goal? If the coded players for this Host have made 2,505 trips and the goal is 5,010 trips, then the Host is at 2505/5010 = 50%. (2) What is the percentage of the quarter? If we are in Q2 then there are a total of 91 days from April 1st through June 30th. If yesterday was April 16th, the 16th day of Q2, then we are at 16/91 = 18% of the quarter. (3) Finally, we compare the two percentages to determine if the Host is Ahead, On Goal, or Behind. If the Host already has 50% of their trips and we are only at 18% of the quarter, then the Host is most definitely Ahead! Congratulations! Here is an example of a Pace report for Beth, a Player Development Executive, for the first day of the second quarter. Even though we have only data for the first day of the quarter, we can tell Beth that she has started well, and she is Ahead of her goal. You must drive 5,010 trips for the Quarter. As of 4/1, you have generated 100 trips which is 2% of your goal. We are at 1% of the Quarter and so you are Ahead. We have compared the percentage of the quarter (1/91 = 1%) with the percentage of the goal (100/5010 = 2%). After the first day, 1% of the quarter has passed by, but Beth has generated 2% of the necessary trips, so she is Ahead. Here is an example of a Pace report for Beth after the 15th day of the quarter. You must drive 5,010 trips for the Quarter. As of 4/15, you have generated 701 trips which is 14% of your goal. We are at 16% of the Quarter and so you are Behind. Unfortunately, Beth has now fallen behind, but because we are only 15 days into the quarter, she has an early warning and has time to catch up. Share this article with your Database Marketing team or vendor! No more waiting until the end of the Quarter to see where you stand. In the same vein, the manager of the PD team needs a weekly Pace report for all Hosts, so they can schedule a coaching session and find out why the Host is falling behind. After reading this weekly Pace report, the manager of Player Development can meet with Kim, Colleen and Paul to find out why they are falling behind and dragging down the team. The Strategic Manager pays close attention and ensures each Host stays Ahead or On Goal from the very beginning. Otherwise it becomes too difficult to achieve the goals, and some members of the Host Team will give up and wait for the new Quarter to start over. Click here to read more Management Articles. Read this book, Casino Host Goals, and you will have a road-map for success as you create or improve your Player Development program, in the context of your Casino Marketing strategy. It belongs on the shelf of any Executive in Casino Management who wants to drive revenue from a strategic approach to PD. Just $21 from Amazon. Every time you write a goal, you need to take a step back and ask yourself is it SMART? Specific, Measurable, Achievable, Relevant, and Time-bound. • The Measure is 7%. • Is 7% Achievable? You can check by asking for a report that shows the total Theo for coded players in the last six quarters. If most of the coded players have been increasing their Theo at 5% even before you set Host Goals and influence Host behavior, then it probably is Achievable to grow by 7%. • Each Host is responsible for growth from their own Active players which is Relevant to the company’s objective. • The goal is Time-Bound and compares this quarter with the same quarter last year. In conclusion, this goal is SMART but only IF, at your Property, you can measure the growth for each Active Player, and provide the Hosts with daily and weekly reports on which player to contact, and why. In many Properties, the Hosts are not told their Goals, or given their coded lists, until a month into the quarter. And they are often not told where they stand against their Goals until after the end of the quarter when IT or the Database Analyst can run the numbers. This approach is completely demoralizing because the Hosts have no idea whether their daily efforts are bringing them success. And from a Management perspective, the Hosts will meet their goals out of sheer luck and not because they focused their efforts on the right players so why pay out a bonus on a lottery? The Player Development team needs targeted information each day to make the correct decisions on whom to contact. Without daily information, the team is not making conscious decisions on how to meet their goals, so why even have goals? It will be sheer luck and not inspiration or perspiration that enables the team to meet their goals. So! Make your goals SMART and then be smart about providing the Player Development team with all of the training, coaching, and tools that they need to succeed and exceed with their goals! Doran, G. T. (1981). “There’s a S.M.A.R.T. Way to Write Management’s Goals and Objectives”, Management Review, Vol. 70, Issue 11, pp. 35-36. 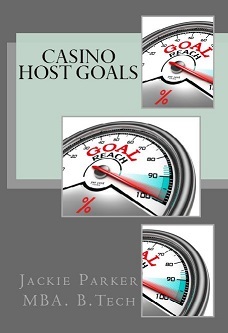 When you write Casino Host Goals, they need to be SMART Goals (Specific, Measurable, Achievable, Relevant, Time-bound). Let’s consider the word Achievable in the context of Seasonality. You need to do some research regarding what is realistic for each quarter for your Property. It is unlikely that each quarter is the same, and it is unlikely that your Player Development team can grow play by the same amount in every quarter of the year. 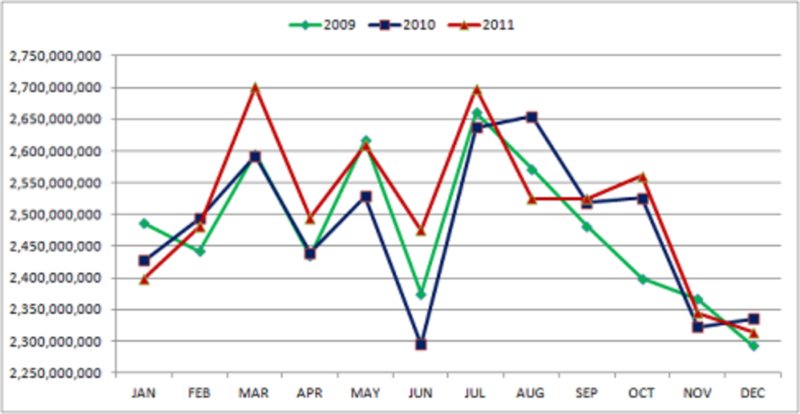 For most properties, there is a seasonal factor based on the weather patterns. If you are in the mid-western USA, then Q1 is lower than other Quarters because snow and ice in January-March will deter players from venturing out. If you are in Arizona or Florida, then Q1 might be higher because of snowbirds escaping to your warmer climes. Q4 is often slow because your customers have so many other Holidays and family commitments that need their time, and money, to enjoy. If Q4 is always slow, then you should you have a lower growth goal for Q4 than for the other Quarters. Take a look at this chart… the data reported by State Gaming Commissions from across the United States shows a clear cyclical annual patterns in play based on annual life events such as tax returns, paying for Christmas gifts, and taking vacations in the summer. You can see the same pattern across the USA for three consecutive years. March is high, June is low, July and August are high, and the fourth Quarter is low. This analysis was created by Harvest Trends and described in 2012 by Susan Kesel, a Gaming industry executive, in an article in Gaming & Leisure Magazine. Does this pattern still apply to your Property? Are you having a great March? Get ready for April! Or do you have a different annual cycle? If you talk to the CFO, they will know the annual cycle because the Finance Department has to manage the cash flow throughout the year and not be impacted by this fluctuation in revenues. And take this into consideration as you set your Casino Host Goals! This is why many goals are written as growth over the same Quarter last year, and not as growth over the Previous Quarter. Here are 4 Steps to Strong Coaching from Managers. Are you a Manager? Ask yourself ‘Do I take these Steps?’ and then file this away for when you need it. Are a Host or Executive? If you are a real go-getter then you are hungry for this kind of feedback. Or, if you suspect that you are on ‘thin-ice’ with your manager, then suggest these steps to get their actual opinion of you, and to engage them in proactively coaching you. Is there a written job description that details the expectations of the job? If not, copy this generic one and edit it for your Property. Is there a standard Annual Evaluation Form for your Property? If not, print off these evaluation criteria, and reflect on them. Give the Host a ‘grade’ of ABC for each part of the Job Description and the Evaluation Criteria. For the C’s, write down 3 specific examples of where the Host went wrong. If so, review the Host’s results. Reflect on your assessment of the Host’s soft skills. How can the Host meet/exceed their goals by working on their B’s and C’s? Here are some areas that are really strong for you! These are some areas that need improvement. So we have talked about your strengths, and some areas that you need to improve, and I am here for you. Moving forward, how about we do X and Y each month. Step 2 – Set up a Meeting but Don’t Terrify Them! Schedule an hour with the Host. Make sure your email gives them some homework to do ahead of time, so they can sit and reflect beforehand. Hi Jackie, Let’s spend some time going over your Job Description (attached) and discuss what you do well, and where you could improve. This is an informal conversation to see where I can give you some pointers on how to succeed. Please read the Job Description ahead of time and think about what you do really well (A), what you do adequately (B), and where you think you can improve (C). You won’t be giving me your own score but I want you to have thought ahead of time about what you see as your strengths and your areas for improvement. PS. Great job on the event last night. Thanks! Try not to freak them out with your email! You don’t want them to lose productivity as they fret about the meeting. Meet with the Host in calm quiet place, and run the meeting as the Sandwich Method. 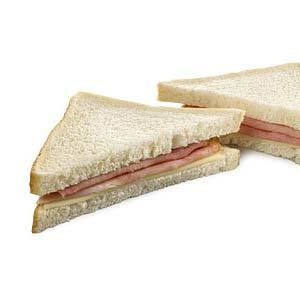 What is the 3-step Sandwich Method for giving feedback? Sometimes, managers will describe the bread as fluff, but it really isn’t. To stay motivated, the Host needs to know where they are strong (first slice of bread), their challenges (the meat), and that you still believe in them (last slice of bread). and, we have talked about your strengths, and some areas that you need to improve, and I am here for you. Moving forward, how about we discuss this when we meet each month? ‘As you cover each Job Skill, do not ask them what grade they gave themselves! That was just an exercise to get them thinking. Describe the behavior as you see it, with a specific example. You don’t talk to as many guests as necessary. Not – I think you’re scared/lazy/too busy with your phone. Your appearance needs to improve with a sharper image. Not – I think you’re scruffy, and without taste in clothes. Don’t ask them to agree to your assessment! They don’t have to agree with you, they just have to listen carefully and then take steps to meet your expectations. If they say, “Well, I don’t see it that way…‘, you say ‘The point here is that I see it this way, so you are going to have to work to change my perception“. Make sure you talk to 40 guests a week. Improve your image to be sharper and in line with the rest of the team. Focus on 10 Inactive players to get them back on property. Ask them to sign your copy, and put it in your folder. Schedule another meeting in a month’s time to discuss their improvement. For the next 30-60 days, depending on how urgent the situation is, you monitor their behavior, and note specific examples. And send ‘Nahs’! “Hey, we talked about your appearance and I was not impressed when I see your tie undone yesterday”. You are at risk of the employee saying the dreaded words ‘This is new to me! You’ve never mentioned it! How can you ding me for something that you never told me! I am going to HR”. Plus! One of your key roles as a manager, is to coach and grow your team. Are You ‘Done” with this person? If you ‘done’ with this person, then it is time to meet with your HR representative and find out the process for “Corrective Action” which usually includes verbal warnings, written warnings, and then dismissal. If your Property doesn’t have a Correction Action process then consider the following steps so that you can protect yourself against a charge of unfair dismissal. You can also Google for Correction Action Process. Consult with your manager and make sure they are aware of what you are doing, and support your actions. Make sure everything is written down, or in a printed email, and put into a physical folder along with dates. Give verbal warnings such as ‘We have discussed your appearance. It is is not acceptable and you must improve it within 30 days or you risk disciplinary action that could result in termination’. Hand-write a note for your file that captures what you said, the date, the rough time, and the location. And what the employee said, if anything. If the change is insufficient, then put the same words into writing. ‘We have discussed your appearance. I gave you a verbal warning on 3/19. I am now giving you a written warning that this is not acceptable and you must improve it within 10 days or you risk disciplinary action that could result in termination’. And then, if the time comes, you are well-prepared to justify the termination, and you can feel good that you did everything that you could to help the employee. Be crystal clear about your expectations and whether they are being met. Give the person a chance to change and succeed by being clear, being consistent, giving specifics, and providing immediate feedback. And, not incur the expense of constantly bringing in new people, training them up on your Club and Amenities, and then moving them on because they did not ‘cut it’. As always, let Jackie know if you have anything to add to this! Sign up to receive an email each week with the latest article. No Ads! Never any Ads! Just a helpful article each week about Casino Player Development.